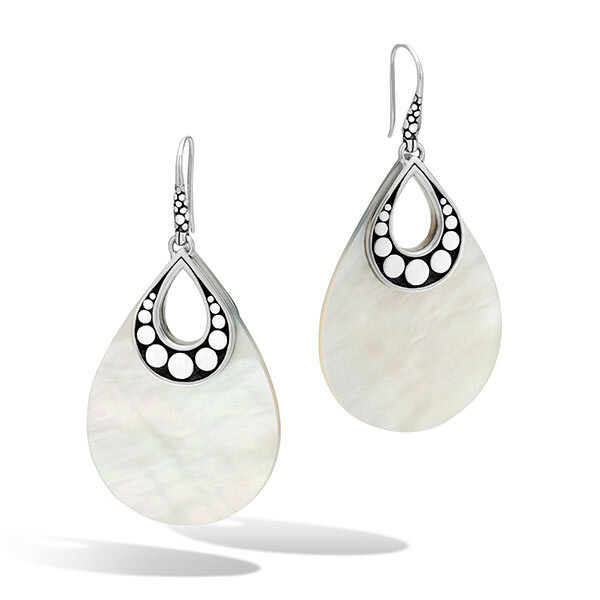 Illuminate a stellar look with John Hardy drop earrings from the Dot collection. Teardrop shapes are carved from mother-of-pearl and accented with shiny silver dots that pop against blackened sterling silver. They drop from French wires that feature hand carved dots against more darkened sterling silver. These eye-catching earrings from John Hardy will glamorize any outfit.